US-based NDC has introduced new on-line measurement and control products for the manufacture of lithium ion battery (LIB) components. Due to the popularity of lithium ion batteries in modern society, manufacturers are focusing greater attention toward the critical parts of their manufacturing processes in order to improve the cost, quality and life of their products. Battery separator film production requires accurate measurement and control of thickness, weight and oil content (for wet processes) from the cast end to the winder. NDC has recently developed several unique measurement technologies with its FG710S infrared sensor that provides a comprehensive picture of total film quality. This sensor is able to measure the thickness and basis weight of clear, voided, porous and translucent films. Thickness measurement of voided films has proven difficult due to density variation through the product. NDC’s patented developments use proprietary IR filters, algorithms and spectral shift of absorption curves to determine on-line thickness of micro-porous and voided films in the range of 10 to 40 microns. For a complete picture of quality, the density of the film is calculated from the infrared thickness and basis weight measurements. 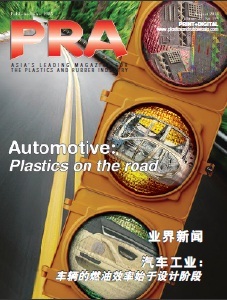 For the wet formed processes, the FG710S employs special infrared filter techniques to measure the oil content in PE battery film for the entire process, beginning with the wet cast film and after the first biax stretch. 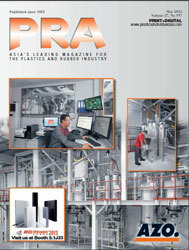 Finally the FG710S can be configured to measure the co-extrusion components of multi-layer film products. Lithium ion battery coating operations represent several measurement challenges for web gauging systems due to the “patch” or “stripe” coating processes. NDC’s Gap Exclusion Software measures patch coatings by excluding the uncoated areas between each coating application, while Pattern Recognition Software (Fig 3) measures stripe coatings and automatically detects and displays the coated versus uncoated strips across the profile width. These coating measurements have traditionally been made with either NDC’s series 302 Transmission Beta gauges or series 103 gamma backscatter gauges. Now, recent developments with NDC’s X-ray Transmission sensor have meant that battery coatings on both aluminum and copper substrates can be measured with this non-nuclear sensor. This sensor provides the highest resolution measurement closer to the edge of either stripe or patch coatings using an optimally-tuned X-ray measurement source beam. NDC’s X-ray sensor produces accurate, continuous coat weight measurement that ignores the uncoated areas that can be used for closed loop control. Calendering press lines help increase the power density of the finished battery by enhancing the contact between the particles to improve the transport of electrons within the battery structure. In order to produce consistent quality and product performance, this requires accurate, high-resolution thickness measurement due to the tight operating tolerances of these calendering press lines. NDC has now developed a new, cost-effective thickness measurement gauging system for battery press lines that can measure and control the calendering compression process. NDC’s experience with calendering processes has resulted in a sophisticated web gauging system that provides both high-resolution measurement and effective controls for high nip pressure operations including gap controls, delta presets and average thickness control. 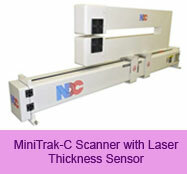 It combines the field-proven MiniTrak C-Frame Scanner with a non-contacting laser thickness sensor that uses a measurement technique based on laser beam distance triangulation. This platform with its small footprint is designed for easy installation on battery press lines. As a result, NDC’s thickness measurement combined with its robust calender controls permit LIB calender press lines to be run to extremely tight thickness tolerances to help produce high quality products efficiently.